Animals is the story of a young homeless couple who live in a broken car. They cruise around, killing time, and they steal in order to fund their spiraling heroin addiction. Animals is a low budget indie that considers some big societal problems. It tells the story of a young couple who break the law to fund their growing drug addiction. Tonally it’s reminiscent of Gus Van Sant’s Drugstore Cowboy (1989) and narratively it borrows from Neil Armfield’s Heath Ledger vehicle Candy (2006). The trials and tribulations of a drug addict are harrowing, painful, and uncomfortable to watch. Our young couple, played by Kim Shaw and David Dastmalchian, are clearly in love but their shared desire for escapism is killing them both. There’s a minimalism at the heart of Animals. There’s a singular focus and the drug addicted young couple at the centre of it all only ever have one thing on their mind – getting high. The film introduces Jude and Bobbie when they are already far gone, and they are deep in the depth of addiction. But the truth of their situation hasn’t quite sunk in yet, instead they are still trying to maintain the lifestyle that will overwhelm them. They rob record stores, they crash a wedding and make off with presents, and they sell their loot in order to fund their habit. At first their story is a touching one and the sense that they’re in it together ensures that there’s a spring to the narrative. They are charismatic and attractive as a pair and this influences the perception of their life. Things don’t seem quite as desperate as they could be and our heroes seem content with the choices they’ve made. There’s a societal truth at the heart of this story, or perhaps a contemporary paradox. Culturally we believe that people should be left to make their own decisions but there’s a point when that perspective becomes more damaging than it is open minded. In Animals, as things get more difficult and our characters experience a series of defeats, each time making it harder for them to justify their decisions, it becomes apparent that something has to change. 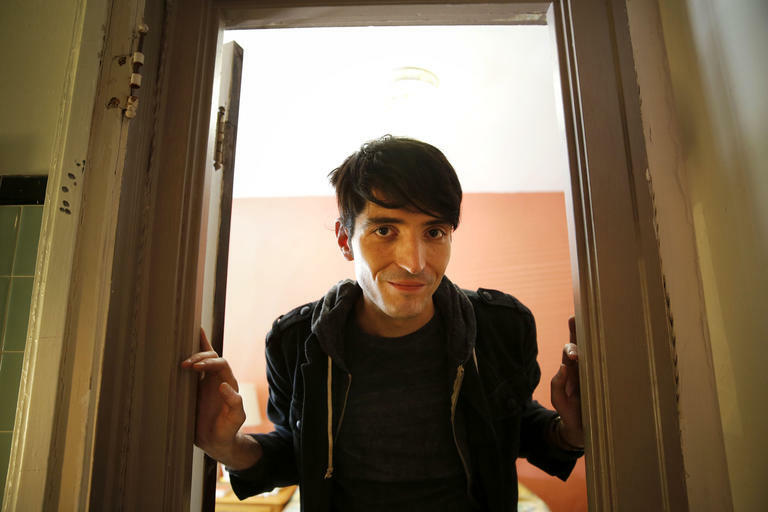 Writer, producer and star David Dastmalchian – Animals riffs on his experiences with addiction. The story is an effective one and the first half of the film adds an undeniable warmth, perhaps even romanticism, to the narrative. Bobbie and Jude are intelligent, they pull off cons with conviction and nuance, but there’s an underlying feeling that things won’t always be this way. This sense of dread is skillfully interwoven into the charismatic moments ensuring that none of the scenes sit comfortably. There are some flashbacks, some moments from their shared past remembered, and those are drawn gently, and they show the embryonic relationship of the leads. But once again that sense of doom is present, and audiences already know how this story goes, and how it will likely end. Just like the experience of heroin, Animals loses its gloss, its sheen, and its beautified exterior and the darkness and the lows become ever more common place. For our heroes their lives starts to fall apart and audiences are left wondering just how far Jude and Bobbie will have to fall before they make a conscious decision to save themselves. The cinematography (Larkin Donley) in Animals is considered and the palette has a retro tint. The whole film clearly borrows from mumblecore and low-fi cinema but it’s not a genre piece, or even a film that belongs to a specific movement. Instead it’s a character study and one that becomes increasingly didactic. The mood darkens as the film nears its conclusion and this is reflected in the shot types, the shifting contexts and perspectives of Bobbie and Jude, and the overbearing sense that things won’t work out for the best. But director Collin Schiffli does provide some respite towards the end and our characters are allowed some moments of grace and self control within the horrific contexts that they’ve inadvertently constructed. Animals isn’t an easy watch, it’s not a film for mass audiences, but it does shine a light on the experience of an addict and the way that a habit can shape a life and its decisions. The opening half of the film has a unique tone, one that zips along and one that’s infused with intelligent scripting, and clever set pieces, but the second half of the film plays out in a much more prescribed and expected manner. Perhaps that’s intentional and it does show that the story of addiction is one that seems personal, that seems like it belongs to the person experiencing it, but in retrospect it’s a sad tale that has many casualties. Animals might start off with two charismatic young people, in love with each other, and sharing an addiction, but it concludes with the feeling that it’s a story that has happened before, and one that will happen again. For Bobbie and Jude there is some hope, there is a glimmer of future promise, but it’s likely not one that will be shared. Bobbie (Kim Shaw) clutches a childhood tin that poignantly contains her drug paraphernalia. Animals is a troubling tale about the effects of addiction seen through the eyes of a young couple.